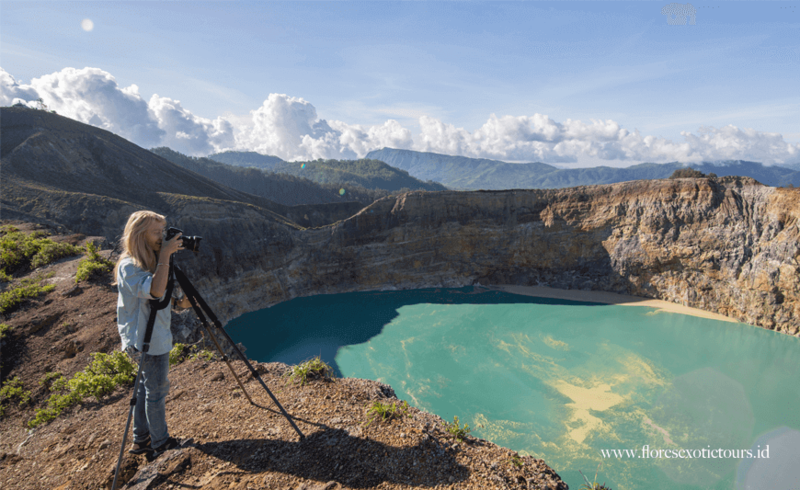 Flores Photography Tours, Flores and Komodo - This program is designed for photographer which focus on landscape, People and wildlife photography. Arrival at FransSeda Airport, Maumere. Our English speaking guide will pick you up at the airport and takes you directly to your hotel. Free program in the afternoon. You will have the chance to take a picture of the beautiful sunset. Dinner and overnight at Sea World Club Hotel. In the very morning you drive up to Bukit Niloh (400m above sea level), where a magnificent panoramic view waits to be photographed by your camera. After that you continue to Sikka Village, a district at the southern coast, which is famous for its traditional weaving using organic dyes. Enjoy the serenity of Paga Beach during lunch, before going on a leisurely trek to the villages of Jopu and Ranggase in the afternoon. Try to capture the unique culture with your camera. Dinner and overnight at the Kelimutu Eco Lodge in Moni. In the early morning at 04.30 am the car takes you to the three colored lakes of Kelimutu, one of the most spectacular and mysterious sights in Indonesia. You will witness a beautiful sunrise. The perfect surrounding for taking impressive pictures. Thereafter you return to the hotel and have breakfast. You continue your trip to Wologai village – home of the Ende Lio tribes. Lunch then will be provided in Ende, In the afternoon you visit Wolotopo village. Dinner and overnight at Grand Wisata Hotel Ende. You start the day by visiting the local market of Ende. After driving up to Nua Bosi Hill you have the opportunity to take a nice picture of Ende city including Gunung Meja and Iya. On the way to Bajawa, you will pass the blue stoned beach of Nanga Panda. After lunchtime in Boawae, you drive to Soa, where you can enjoy a relaxing bath in the natural hot springs. In the afternoon you continue to Bajawa. Dinner and overnight at Happy-happy Hotel or Villa Silverin Bajawa. In the morning at 5 am the car takes you to Wolo Bobo, a great scenery to take a photo of the sunrise and the landscape. After having breakfast in the hotel, you will visit the traditional village of Bena and the Ngada tribes, located on the slope of Mount Inerie. The trip continues via Aimere the centre of “Arak”-production, and Borong (lunch) to Ruteng. Dinner at a local restaurant and overnight at MBC Susteran Guesthouse. 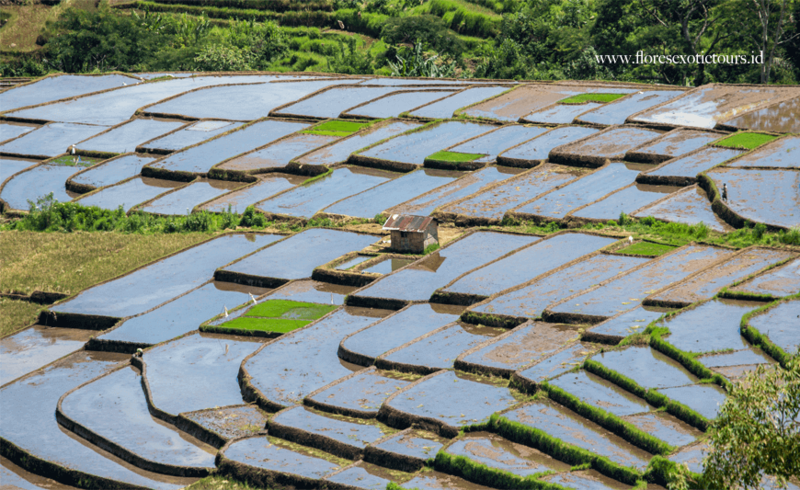 After departing from your hotel, you visit Golo Curu Hill where a very nice view of Ruteng and rice terraces on the northern side awaits. In Cancar then you see the unique Lingko ricefield, circular terraces arranged like a spider web, perfect for taking pictures. Thereafter you drive directly to the pier of Labuan Bajo and continue the trip by boat to the home of the dragons – Rinca Island. Dinner and overnight on the boat. After the breakfast on board a trekking tour of approx. 2 hours awaits, that is the best opportunity to take a photo of the Komodo dragons and their prey, passing the dragon nests and out into the sunshine across an exposed Savannah studded with lontar palms. Reaching the top of the exposed slopes you will be rewarded with breathtaking views. After returning to the boat you continue to Komodo Island, where you go for 2 hours trekking again and visit the Komodo village. Both islands with their incredible flora and fauna are made for photographic tours. In the afternoon you proceed to the Pink beach and enjoy the beautiful beach with crystal clear water by swimming, snorkeling or just relaxing. Dinner and overnight on the boat. Today you sail to the islands of Sabolo and Seraya kecil where you have the chance to discover the colorful underwater world by snorkeling. In the afternoon the boat brings you back to Labuan Bajo (the program can be change depend on sea condition). Dinner and overnight at Puri Sari Beach Hotel. In the morning you are taking a small excursion to the Batu Cermin Cave before we provide transfer to the airport.